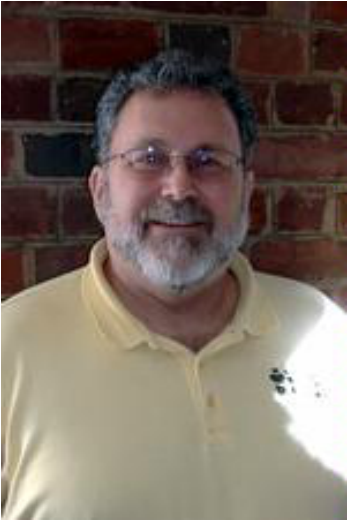 Bob Ruthazer is a Certified Family Life Educator who began serving St. Giles as a part-time Marriage Ministries Coordinator in 2002. In 2014 his role expanded to include staff support to Men’s Ministry and Mission RVA (Local Missions) on a part time basis. He and his wife Dianne also provide Couple Coaching to the community as leaders of the Marriage & Relationship Coaching Center ministry (MarriageRelationshipCoach.org). He is also the Founder of First Things First Richmond, a community non-profit "strengthening families for a better community" and continues to serve part time as Congregational Coordinator. He grew up on Long Island, NY and graduated from SUNY Buffalo. Prior to entering ministry, Bob served for 21 years as an Aircraft Maintenance Officer in the US Navy. They also served as missionaries with Youth With a Mission - Family Ministries (YWAM) for 8 years. Bob and his wife, Dianne, are now "empty nesters" with two grown children: Joy lives in Richmond and Jonathan lives outside Orlando. Bob enjoys reading, exercise and being at the beach with his family. He also enjoys sailing on his friend's racing yacht.